Somewhere between whipping up batches of fresh (and medicinal) mint mojitos in your cramped city apartment after work and getting sunburned on exotic beaches during your two measly weeks of vacation a year, a lightbulb switches on. Why not live the tropical life all year round? It’s a not-uncommon fantasy in these waning days of a long winter: Ditch the high heating bills, smothering winter coats, and oppressive tweetstorms of your homeland, decamp to an inexpensive beach town abroad—and live like royalty. We’re here to tell you: It can be done. But buying a home on U.S. soil is stressful enough. Finding an abode abroad can be even more so—you want somewhere both safe and affordable, with a community of expatriates for company. And once you whittle down your list of potential new homelands, you’ll have to contend with a host of laws governing foreigners buying property. This is where the peripatetic data team at realtor.com® comes in. We found some of the most affordable international beach towns where expats-wannabes will want to live—and where the regulations make it entirely possible. “If looking out at the ocean every day and surfing and walking on the beach are your No. 1 [priorities], then you should be looking overseas—doing that in the United States today is seriously expensive,” says Jennifer Stevens, executive editor of internationalliving.com, a website geared toward Americans searching for a home in a tropical paradise. So what kinds of folks are relocating to exotic sand- and sun-filled locales? Let’s check off the boxes: Retirees with fixed incomes searching for more bang for their buck. Recent college graduates looking for adventure and new opportunities. Tech employees who can work remotely. Or just everyday Americans who have had enough of the corporate lifestyle. The U.S. State Department estimates there are nearly 9 million Americans living overseas. But this isn’t a decision that should be rushed. Once we got our list of countries, we aggregated several international beach rankings from publications such as Condé Nast Traveler, CNN, and TripAdvisor to help us come up with our list of beaches. And we eliminated beach communities without nearby homes under US$250,000. Ready to find your dream home abroad? Grab the passport and let’s travel. The Eastern European country of Croatia probably isn’t the first place that comes to mind when you think beaches. But maybe it should be. The clear blue waters of coastal town Zlatni Rat make for world-class scuba diving, and some epic sailing too. That’s probably why Condé Nast Traveler named Zlatni Rat the 10th best beach in Europe last year. “Zlatni Rat stands out for its striking and unusual shape (which actually changes depending on the current). Though it looks like a golden sand beach, its shoreline is made up of smooth, tiny pebbles and stretches out for half a mile on either side of the tip,” Condé Nast wrote. 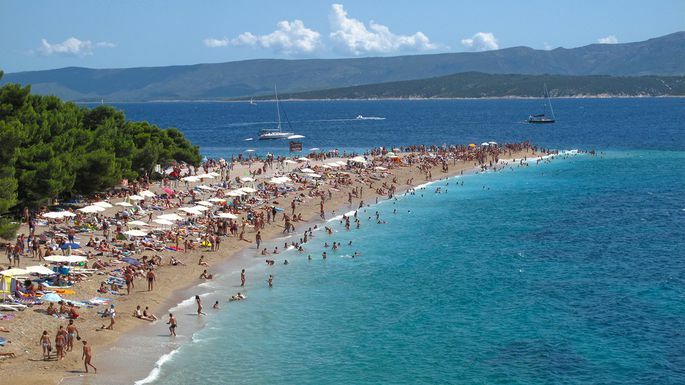 Zlatni Rat is located on an island in the Adriatic Sea called Brač, with a population around 14,000. It is a popular spot for windsurfing, stand-up paddleboarding, and other watersports. But unlike many of the other topped-ranked beaches in this part of the world, Croatia comes at a reasonable price. Look no further than this two-story Mediterranean stone house for $165,000 just a pebble’s throw from the beach. Americans can buy homes in Croatia, but they require approval from the Ministry of Foreign Affairs. Securing that approval can take two to six months, as it requires a nonconsummated purchase agreement between the buyer and seller and proof of your U.S. citizenship. 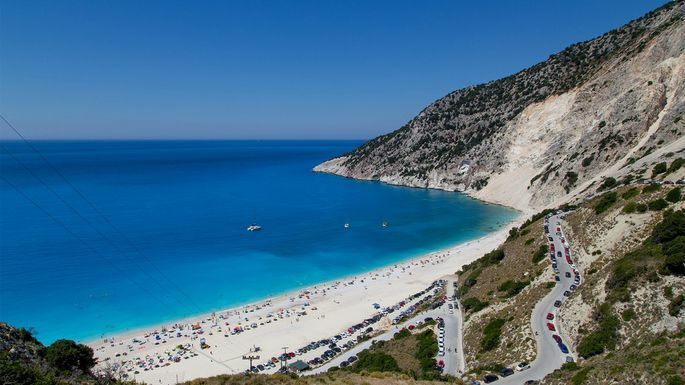 On Kefalonia Island at the feet of Kalon Oros and Agia Dynati mountains, you can find the beautiful sand and waters of Myrtos Beach. It’s as prized for its idyllic and dramatic beauty as it is for its serenity. If you’re leaving the U.S. to get away from the hustle and bustle, this is your place. No watersports allowed! Frolicking in the surf, basking in the sun, reading Socrates, and contemplating life, however, are all heavily encouraged. There isn’t a lot of real estate right on the beach, but there are a number of affordable nearby villages. 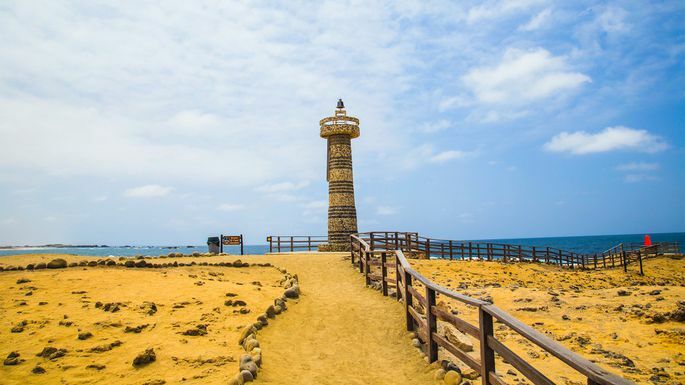 The road from the small town of Divarta, with some terrific Mediterranean and seafood restaurants, takes sun worshippers directly to the ocean. Most of the homes are detached bungalows or villas. Greek real estate prices are still pretty low after the country’s economic woes (remember the Euro crisis? ), so you’d be advised to buy soon. Americans can buy real estate in Greece, but it is a difficult process and requires an application. The U.S. Embassy and Consulate in Greece recommends Americans contact a lawyer before starting the application process. If you buy a home, you’ll need to obtain a tax ID number through Greece’s Ministry of Finances. And some areas, such as those near military bases, are restricted to foreign buyers. 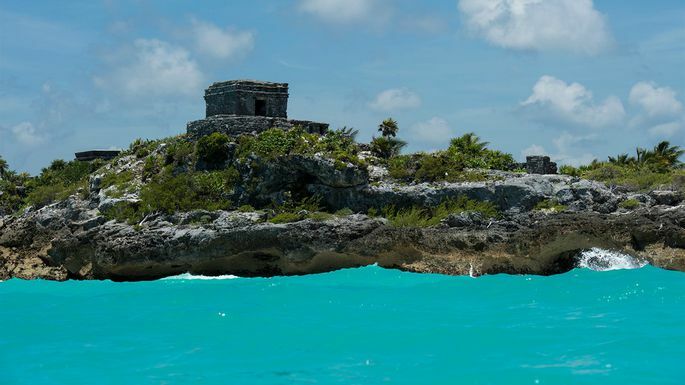 Tulum, about two hours south of spring break magnet Cancún, is a top destination for visitors from around the world who want to take in the Mayan ruins that overlook the blue waters of the Caribbean, or go snorkeling in the azure waters of the Gran Cenote, a limestone cenote and cavern. Its growing popularity as a vacation spot has spurred more and more Westerners to choose it as a place to put down roots. This ancient town of 18,000 is extremely cheap, housingwise. You can find luxury condos in new developments and single-family houses under $100,000. Check out this $79,000 home in a self-sustainable community. InterNations named Mexico the third-best destination in the world for expats in 2017. It’s particularly hot among American, Canadian, and European buyers, who like the fact that they don’t need to speak Spanish to get by. They also dig the top restaurants, taco joints, fun bars, and friendly locals. Heck, less than an hour’s drive north, in Playa del Carmen, you can even find a Home Depot and a Walmart. Buying property in Mexico is possible, but it’s a difficult process. The most desirable parts of Mexico, near the coast or the U.S. border, require you to set up a trust through a Mexican bank. That trust is valid for 50 years and can be passed down to heirs. Malaysia, in Southeast Asia, is home to some of the world’s premier beaches. But many of these places would break your home-buying budget. 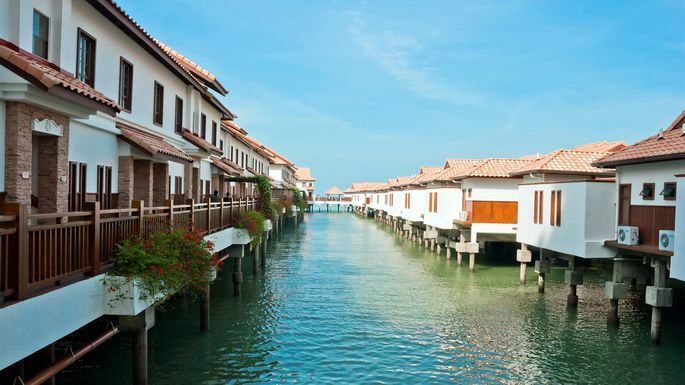 In Port Dickson, a coastal town with a population of nearly 120,000, you can still get a beautiful beach home at a reasonable price. And it’s fairly easy to buy as a foreigner. The main requirement is that the property not be valued more than 1 million ringgit ($254,000). However, there is a workaround for that price minimum. If you get a 10-year visa, common among foreigners working in the country, you can buy homes for around $127,000. And there’s a lot on the market around that price point. Take a look at this 1,664-square-foot, three-bedroom bungalow priced at $129,000. Sweet! Unlike some international beach towns, there are a good number of high-paying jobs in Port Dickson. The community is home to two oil refineries, including one operated by Shell Refining. And with that comes lots of engineering jobs. It’s one of the reasons this town has expats from all over the world, particularly the United Kingdom. InterNations ranked the country the fifth-best destination in the world for expats in 2017. It’s home to plenty of retirees from the U.K., Germany, and the Netherlands looking to escape the northern European cold. There are also plenty of Americans here passing the time away at the Hotel Algarve Casino—a five-star hotel with slot machines, blackjack, and roulette. When it comes to buying property, Portugal had one of the most liberal policies among the countries we ranked. If you buy a home worth more than 500,000 euros ($610,000), you’ll become eligible for the “golden visa,” which gives you up to a five-year residency. Sunny Beach is a formerly notorious resort located on the coast of the Black Sea. It was built in the 1950s by the former Communist regime as a playground for the Soviet-era elite. Over the past decade or so it has come into its own as an expat hot spot for European and U.S. home buyers alike. 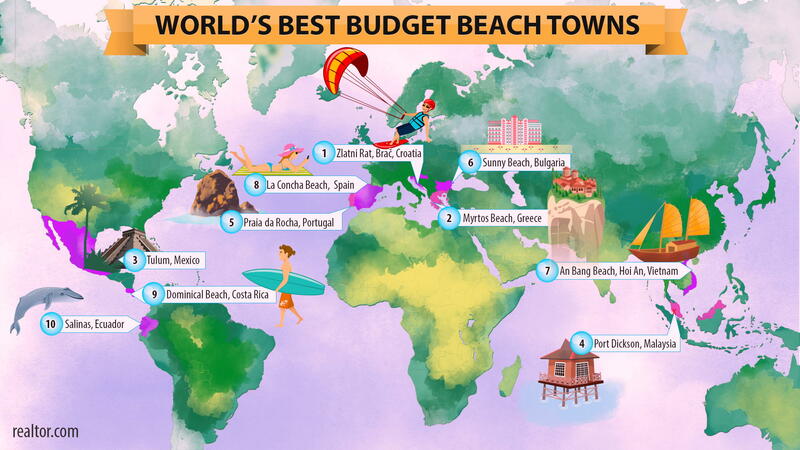 But where Sunny Beach really has the advantage is dollars and cents. Bulgaria is inexpensive. Among the countries on which we collected data, only three European countries had a lower cost of living: Belarus, Serbia, and Romania. And the country is friendly to foreign investment. Stoykova’s firm has seen more Americans inquiring about Sunny Beach–area homes as of late. Most are looking around the 20,000 euro ($25,000) price point, for either a studio or one-bedroom. Bulgaria allows foreigners to buy apartments, condos, and homes—just not the land they sit on. But once you own the home, you’re allowed to rent it out. So you can net a little side cash. 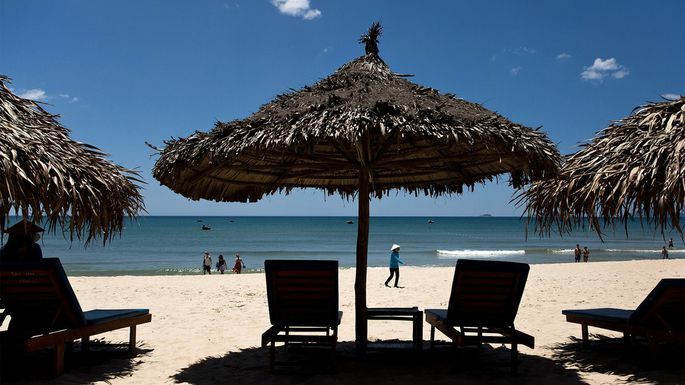 Blue waters, soft white sand, and palm trees leading right up to the beach: That’s what you get at Vietnam’s An Bang Beach in Hoi An, a city of over 120,000. In 2017, it made CNN’s 100 best beaches around the world, coming in at No. 86. Beyond the sand and surf, it’s also known for its fab restaurants. And that’s led to its big tourist and expat community. When it comes to buying in Vietnam, you can own the home, but foreigners and locals alike have to lease the land from the government. And while you can find some affordable cribs, it might take some searching. The market has a pretty large luxury side, with lots of two-bedroom villas just meters from the ocean. Relocating to a foreign beach town often means living in a remote location. That’s not the case at La Concha Beach in San Sebastian, a gorgeous—and large—resort town/city. With a population reaching 180,000, the place features many high-rises, with a wide range of home prices. And it has amenities that you won’t find in most beach towns. 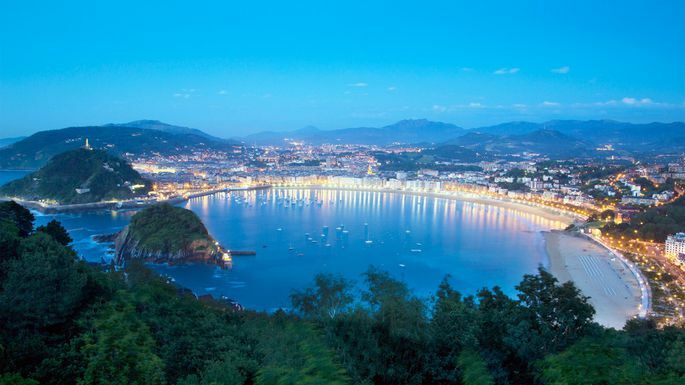 Last year Travel & Leisure named San Sebastian’s stunning, crescent-shaped shoreline the second-best city beach in Europe. Only Barcelona ranked higher. And TripAdvisor named it the sixth-best beach in the world. Located along Spain’s northern Atlantic Coast, La Concha Beach has long been a go-to spot for Spaniards. Heck, it was one of Spanish royalty’s favorite digs back in the 19th century. Now it’s filled with expats from across Europe, the U.S., and Canada. That may be because Spain has a fairly open policy for foreign investment in property. Americans can buy homes here—they just need to get ID numbers from the government. 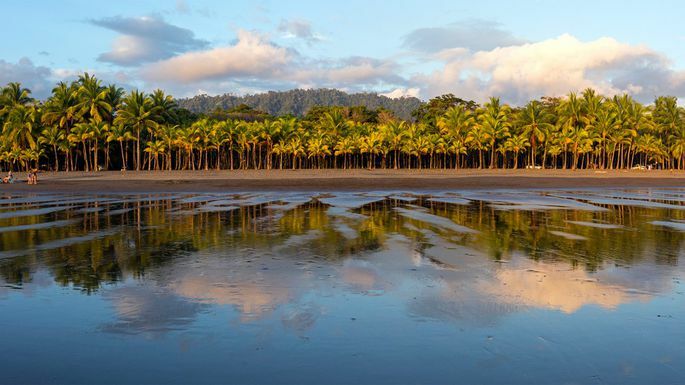 Once a fishing town, Dominical has grown into one of Costa Rica’s hottest surfing spots. All those 10-foot waves have foreigners streaming in from all around the world. That may have helped it to be ranked the second-best destination in the world for expats by InterNations. Almost two decades ago Clinton Stephenson, then a recent graduate of the University of Nebraska, took a trip to this small town about three hours from the San Jose international airport. He quickly fell in love, and set a new course for his life and moved to Costa Rica. “I went to beach in the morning, then a waterfall later in the day. I thought ‘this feels so right,’” Stephenson says. Now a senior investment consultant at Costa Rica Real Estate Service, he helps U.S. expats buy homes in the southern Pacific coast region of Costa Rica, where Dominical is located. Costa Rica is very friendly to Americans buying property. Indeed, residents and foreigners both have the same rights when it comes to purchasing land in the country, according to Re/Max. And the country is well-known for its dirt-cheap property taxes: just one-fourth of 1% annually. “Most of us got tired of winter, working in corporate environments, and imagined we would find like-minded environmentalists,” says Faith Mulvihill, a real estate agent and an American expat who has been living in Costa Rica for 10 years. Along Ecuador’s Pacific Coast you’ll find Salinas, a picturesque city and beach resort dotted with condominium buildings. Salinas is on the bigger end with a population around 50,000, which swells to around 100,000 during the country’s holiday season. It’s Ecuador’s largest coastal resort. That size brings with it some noise. On the flip side, being a larger beach town means there is no shortage of things to do here. Maybe go watch a soccer game with the locals at Aloha Bar. Salinas Beach itself is great for swimming, but thrill-seekers head to Punta Carnero, just south of the city. This 1.6-mile beach attracts surfers from around the world with its picture-perfect waves. When you first move here you might experience sticker shock—the good kind. A cab ride is usually between $2 to $3, and lunch ranges from $3 to $5. And home prices are similarly attractive. When it comes to foreigners buying property, they have the same opportunity as locals in most parts of the country. Buying into the coastal areas requires government approval—something that is normally granted. And there are some nice places on the market, including this three-bedroom oceanfront condo priced at $230,000. QCostarica.com was not involved in the creation of the content. This article was originally published on Realtor.com . Read the original article. Next articleCosta Rica: Could drug-law reform for women open door to wider change?